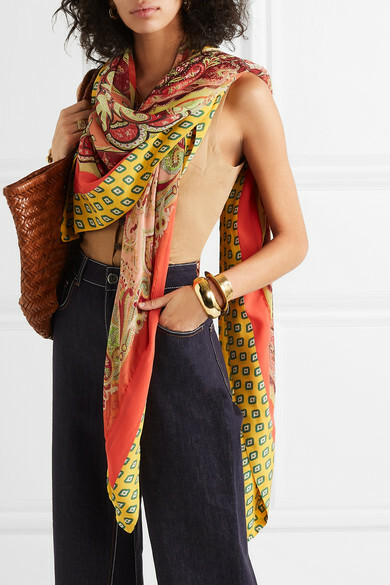 The generous cut of Etro's scarf means it can also be worn as a shawl or sarong. 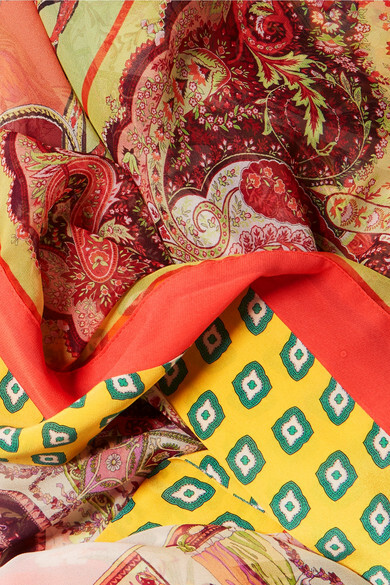 Made in Italy from silk-chiffon, it's decorated with the brand's signature paisley swirls and vibrant motifs from the archives. The colors will work with any outfit (or swimsuit) you choose to wear.